Lynda.com has nearly 7,000 courses, but what are UCL staff and students actually watching? I took a look at the usage figures over the last 12 months to try and answer this question. *This is where a user has watched every single video in a course. A certificate can be generated which can be attached to your profile in LinkedIn. Lynda.com courses are in three broad areas – Business, Technical and Creative – but these break down further into about twelve different categories. Looking at all users, the most popular category by total hours viewed was Developer with nearly 30% of courses in this area. 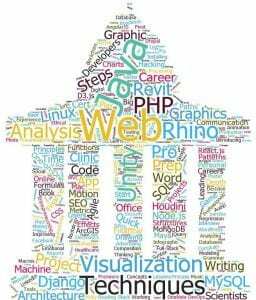 The Developer category includes courses on programming or coding, app and game development and other similar courses. 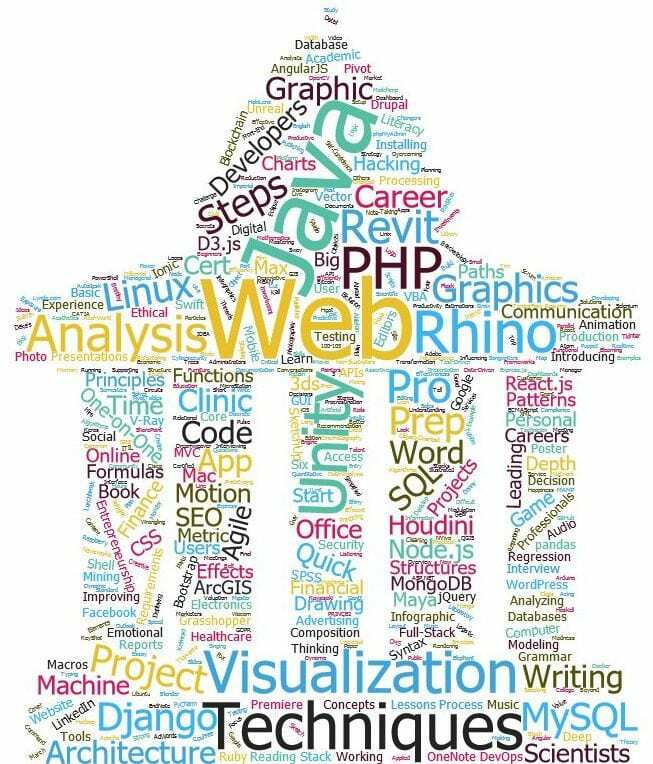 The next biggest category was Business which includes courses for personal development but also courses in desktop applications used predominantly in an office environment, such as Microsoft Office. Business courses accounted for about 20% of viewing. The next two most substantial categories were IT and Web with 12% and 10% respectively. 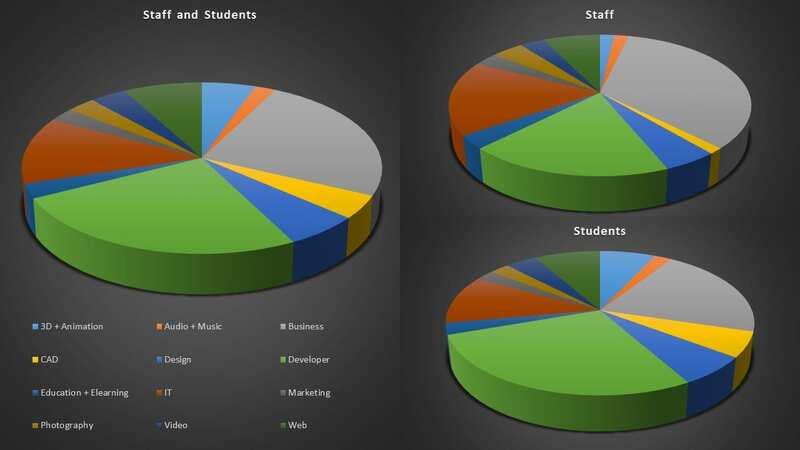 If you look at staff and students separately the picture is a little different, with courses in the Business category featuring higher in the staff results at 30%, whereas for students the Business area only accounted for 15%. UCL students are clearly more interested in technical courses than staff with Developer courses making up 33% of hours viewed by students, compared to just 21% of staff viewing. Looking at Developer, IT and Web together, these accounted for well over half of all courses viewed by students. Looking at the more ‘creative’ side, CAD (Computer Aided Design) featured much more strongly in the student results – 9% of viewing amongst students was in this area compared to only around 1% of staff figures. 3D and Animation showed a similar trend. This reflects a strong interest in this area in some key departments, notably Computer Science, Bartlett, CASA, CEGE and the Slade although there was also some usage outside of these areas. The remaining categories were generally less popular with both staff and students and these were Design, Photography, Video, Education and Elearning, Marketing, and Audio and Music which in total accounted for only about 17% of viewing. Design courses were mostly popular with the the Department of Information Studies. Perhaps unsurprisingly, the Education and Elearning courses were most popular in IOE. The Bartlett and the Anthropology department were most interested in Photography and Video. In my next blog post I’ll look in more detail at which specific courses are most popular with UCL people. Some of the results might surprise you….